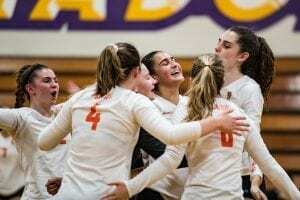 With an impressive cast of impact players back from a section semi-finalist team, California High-San Ramon girls volleyball coach Todd Baham is rightfully optimistic about the Grizzlies’ chances this fall. And as the conversations steers toward the team’s younger stars-in-the-making, Baham’s enthusiasm soars. You can notice the feeling that something special has been brewing. After all, Cal High went 30-5 last season, reaching the North coast Section Division I semifinals and making a trip to the CIF NorCal playoffs. It was their fourth time in the NCS semifinals in eight seasons, with 2012’s run producing an NCS championship. The talent is there for another potential title, whether this season or next. The future just might be now. Sofia Aguilera, the 2017 team’s MVP, is back for her junior year as outside hitter, opposite and middle blocker. Last year she was a first-team All-East Bay Athletic League choice. 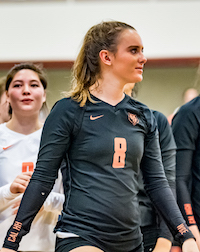 Also back is junior outside hitter/opposite/defensive specialist Sadie Peete, who has made the All-EBAL second team both of her high school seasons. Sadie Peete fights for a point in the Grizzlies EBAL-opener at Amador Valley-Pleasanton on Aug. 21. Their older teammates realize these young colleagues have matured into stars. Baham is excited when it comes to the subject of sophomore Genevieve Bane. Baham said the 6-foot Bane has the potential to be a Division I player. According to coach Todd Baham, sophomore Genevieve Bane may have the highest ceiling among any of the Grizzlies top offensive talent. Youth needs leadership, and Cal High has plenty among its three senior co-captains. There’s Lindsey Burt, or “LB”, in her third year on varsity. Jennifer Dawson (“J-Daw”) wasn’t even slated to be a full-time starter. Yet her smarts — she has a 4.7 GPA — have made her a natural fit as a captain, Baham said. And there’s Merchant. Baham tossed her out of volleyball practice five times during her freshman year — something Merchant chuckles about now, having long since earned the honor of being asked to be a captain. Senior libero/defensive specialist, Jessica Merchant, has earned her captain role through three plus years of varsity experience. “When I was a freshmen, we butted heads a lot. But now we have a more understanding relationship,” she said. “He even asks for my input. That’s what I appreciate about Coach Todd; he involves captains a lot in decision-making. 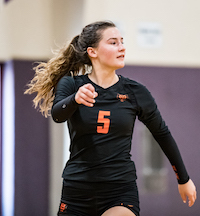 This season, Cal High has a freshman making a big impact: setter Payton Lee, who displays veteran poise. “Many of us have been playing with her in open gyms since fifth grade. She is definitely not like a newbie,” Merchant said. Initially, Baham envisioned a lineup with two setters. 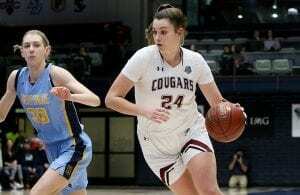 Those plans went awry at the end of summer league, when Maddie Damian, a transfer from Dougherty Valley-San Ramon, suffered a terrifying injury, breaking her tibia and fibula. Baham compared the frightful event to the injury suffered more than three decades ago by NFL quarterback Joe Theismann, a career-ender that horrified a national television audience. One of three senior captains, Jenny Dawson is a top notch scholar athlete, boasting a 4.7 GPA. Damian is recovering after surgery, and Baham is eager to have her contribute the volleyball program next year, when she will be a senior. This season, she remains with the team and is a constant presence. 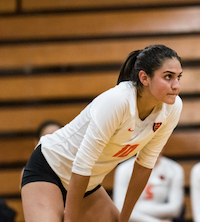 Right now, the Grizzlies are in the thick of competition in the EBAL, the section’s most dominant girls volleyball league in recent years. 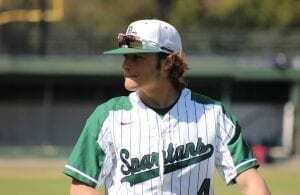 The EBAL has produced the last 12 NCS Division I champions. 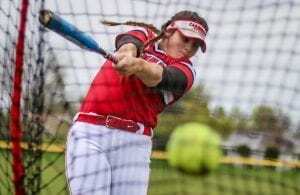 Monte Vista-Danville has won the past four with San Ramon Valley-Danville owning three. The two Pleasanton schools, Foothill and Amador Valley, each have two section titles during that span. For whichever team emerges with this year’s EBAL title — and a likely No. 1 NCS seed — it won’t be easy. Cal High knew that heading in to their Aug. 21 league opener at Amador Valley, the team which Baham tabbed as the favorite to win the league. The Dons prevailed 25-13, 26-24, 14-25, 25-16, though the Grizzlies didn’t feel overmatched. 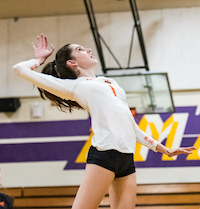 Amador Valley went on to win its next 10 matches to open the season 11-0 through Sept. 10. 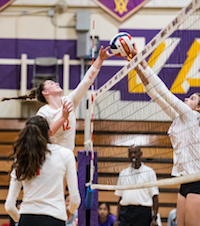 Cal’s home EBAL opener on Aug. 23 against San Ramon Valley-Danville showed things coming together, as the Grizzlies posted a 25-19, 25-20, 25-23 victory. 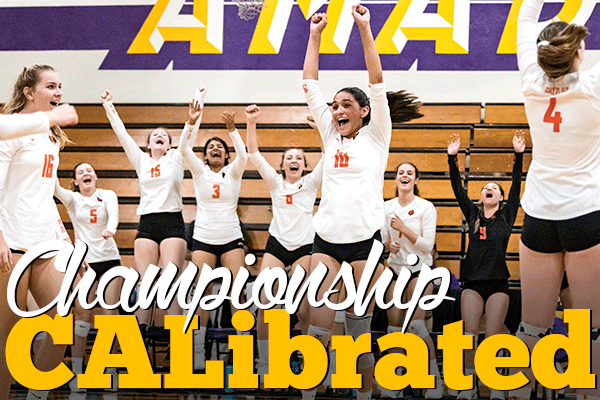 On Aug. 25, they won all five matches at the Tamalpais Tournament. The Amador Valley continues to be the only blemish through seven league contests. Based on recent history, the Grizzlies soon should be hitting on all cylinders and on their way toward another run to the playoffs. Confidence is not lacking. 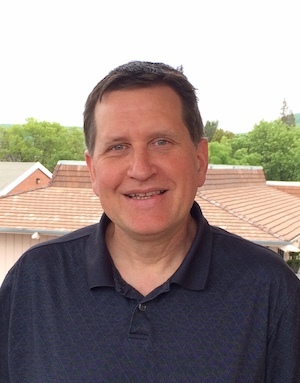 Mike Wood covered prep sports for more than 20 years as a member of the Contra Costa Times and Bay Area News Group. He is now an assistant editor for SportStars.